This article is timeless... there is a lot of myth surrounding skateboard bearings and ABEC ratings especially. If you want to know the truth, read on... it's worth it! 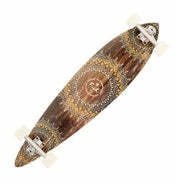 Do skate wheels spin faster than an Indy car's? 2. What is the meaning of ABEC ? ABEC is an acronym for Annular Bearing Engineering Committee of the AFBMA (Anti-Friction Bearing Manufacturers Association Inc). The ABEC grades of bearings is a set of standards for the manufacturing tolerances of bearings. All quality manufacturers around the world manufacture to at least ABEC 1 standard. If you were to ask your local bearing supplier for a 608ZZ, you would almost certainly receive an ABEC 1 bearing. There is no GRADE lower than ABEC 1, but that doesn't mean that a manufacturer has to meet ABEC standards. There are a lot of small bearing manufacturers that are not publishing any data on their manufacturing standards, so beware. 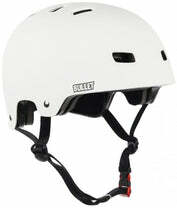 Be aware that the skate manufacturers are not usually also bearing manufacturers. Bearings are often purchased in bulk lots with the purchasers brand name (or whatever name the purchaser requests) stamped on the bearing. Some well known skate manufacturers may be buying their bearings from the cheapest, least quality conscious bearing manufacturer, and you would never know. Buy your bearings on the reputation of the bearing manufacturer rather than that of the skate manufacturer. Stick to bearing brands that are well known and you won't go wrong. Yes. The other commonly used standard is the ISO (International Standards Organisation) standard. There are slight differences in the standards applied, but basically ISO Grade P0 is approximately equal to ABEC 1, ISO P6 approximates ABEC 3, ISO P5 approximates ABEC 5, ISO P4 approximates ABEC 7 and ISO P2 approximates ABEC 9. Please see our Precision Grades table for the exact values of these precision grades. Higher precision bearings are designed to allow high precision machinery to operate smoother and sometimes at higher speeds than a standard bearing would allow. Keeping this in mind, a standard ABEC 1, 608ZZ is rated with a limiting speed of 32,000 RPM with grease lubrication and 38,000 RPM with oil lubrication. The actual speed that the bearing will attain without failure also depends on the loads applied and other running conditions but there is really no need to go into that too heavily here. We feel that we must stress here that the purpose of higher precision bearings IS NOT TO GO FASTER, but (amongst other things) to ALLOW HIGH SPEED MACHINERY TO OPERATE AT FASTER SPEEDS THAN STANDARD BEARINGS WILL ALLOW. PLEASE ALSO READ POINT 6 BELOW. 6. 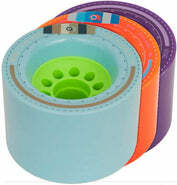 What will be the result of using these higher grade bearings in Skating Applications ? The most noticeable result is that you will end up with less money in your wallet and the people that sold you the bearings will be eating out at restaurants at your expense for a few days. Under the following conditions, you may notice an improved performance. (a) You spend a lot of money (i.e. thousands of dollars) to have your equipment (wheels and board) redesigned and manufactured to suit these high precision bearings. You will need to use some type of shock absorber that allows for absolutely no vibration. (b) You will have to be prepared to skate on a perfectly smooth surface and make no attempts to use your feet to propel yourself. (Doing so would cause shock loads to the bearings and any extra precision would be lost very quickly). (c) After you work out how you are going to achieve the above two criteria, you may (and that is only "may") experience a better result than using ABEC 1 bearings after you attain a speed of about 390 KPH (240 MPH) with 65mm wheels and grease lubrication. 7. What are the grades of bearings available in order. How different are the grades? OK, but don't forget that you really do not need to waste money on anything higher than ABEC 1 or ABEC 3 for skating applications. It should also be pointed out that the precision grade only tells us how close the bearings dimensional tolerances are (that is, how close the bearing is to the stated size). There are many other factors relating to the quality of a bearing, and many of these factors will have much more of an impact on your skating experience than the ABEC Grade of the bearing. There are a number of factors covered by the ABEC grades, but to give you an idea we will just examine one of these factors - the eccentricity (out of roundness) of the track in the inner ring. For an ABEC 1 (lowest grade) bearing, the maximum eccentricity allowable is 0.0075 mm (0.000295"). This is quite precise - more than precise enough for skates and skateboards. The figures for the other ABEC grades are 0.005 mm (0.000197") for ABEC 3, 0.0035 mm (0.000138") for ABEC 5, 0.0025 mm (0.000098") for ABEC 7, and 0.0012 mm (0.000047") for ABEC 9. If used in high precision, high speed machinery (see above), these minute variations can make a difference. The fact is that no matter which of these bearings you use in skates or skate boards, after 5 - 10 minutes of use the tracks won't just be eccentric, they will become irregular (albeit minutely) enough to be practically indistinguishable from one another. Your high priced ABEC 9 bearing might as well be a 50 cent ABEC 1 cheapie. 8. Are the "Supermarket" ABEC precision bearings really manufactured to the correct tolerances ? We have to believe that they are until it is proven otherwise. If the bearings are labelled as ABEC 7 then in most countries the manufacturers of the bearings are compelled by law to provide ABEC 7 bearings. Some of the low prices offered for high precision bearings in Supermarkets does look a little strange though. Manufacture of high precision bearings is not cheap, although the costs can be kept lower if other quality controls are not in place. Our Swiss quality supplier RMB has recently checked the tolerances of a set of bearings that was purchased at the Supermarket, and labelled as "ABEC 5". The bearings did indeed meet the standard of ABEC 5, but more costly tests would be needed to check all of the other important quality factors relating to the bearings (and many of these other factors are more relevant to skating). See point 11 also. "Z" is a designation which means a steel shield covering the side of the bearing (for most brands). "ZZ" simply means that the bearing has a shield on both sides. Normally, the shield itself will be branded as "608 Z" even though there is a shield on both sides of the bearing. This is for practicality in manufacturing. It is much more economical to produce all of the shields stamped as "608 Z" than it would be to manufacture the exact same component with two different stampings on them. Some manufacturers supply bearings with removable shields, whilst others have shields that are crimped in place. Neither is usually better than the other unless you intend replacing the lubricant or cleaning the bearing from time to time. 10. Is there any better sealing arrangements ? Do the seals/shields change the bearing quality ? The seals have nothing to do with the quality of the bearing, only how well the bearing keeps out the dirt and moisture. You could try using a non-contact rubber seal. These will keep out the dirt very well and won't lose you any speed. You may notice a slight drag if you rotate these bearings by hand, but once they are assembled and your weight is on the skates you won't lose any speed. 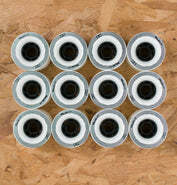 Non-contact sealed bearings are not overly expensive, so it won't cost you a fortune to trial them. The most significant increase in speed will be obtained by using a quality oil lubricant. We have tested a bearing with non contact seals and a Teflon Oil Lubricant. These bearings have been used in Inline Hockey (Roller Hockey) with some very good results. Rather than marketing these bearings ready oiled we would rather just let you know the oil that we tested (Slick 50 One Lube). Try it. We make no claims other than we feel that this lubricant has proved very effective in our test bearings. If you decide to trial this oil in your own bearings we are very eager to learn of your experience. Please e-mail us. If you can suggest alternative or better lubricants we would be happy to publish your suggestions here. INOX spray (Has been highly recommended for speed). Lubricant type and quality. Heavier lubricants such as grease for longer life. Lighter lubricants such as oils for freer running. Quality of the bearing steel. Bad quality steels can fail very quickly. Internal axial and radial clearance (how much movement there is in both directions when the rings of the bearing are pushed in opposite directions). Too little and too much clearance can both be detrimental to bearing performance. You can usually feel this movement with your fingers but you will not be able to determine whether it is within acceptable limits just by feel. 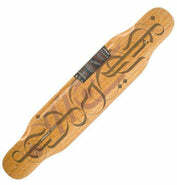 Check the manufacturers specifications on the bearings and try to stay within the "MC3" range for normal skating applications. (The terminology "MC3" will be recognised by most bearing shops). If you want more speed, you will want to loosen up the internal clearance to allow the bearings to spin more freely. 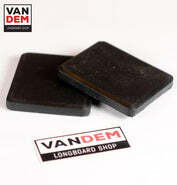 We have had some very good success supplying "MC5" clearance with a very light oil lubricant for speed skating. These are not available in a serviceable shield type though. The best way to ensure that you get a good bearing is to stick to the well known manufacturers, and by this we do not necessarily mean "well known skating brand names". If you are buying pre-packaged sets always check on the actual bearing to find out the manufacturers name and country of manufacture. I have been in the bearing industry since 1984, and the biggest problem with the industry is that too many bearing sales people don't know enough about the product that they are selling. I have come across people with over 20 years experience in the industry who still get scared when a customer starts to ask about load ratings, limiting speed, internal clearance and yes, you guessed it, ABEC precision. What has happened here is that someone has been told a basic fact that higher precision allows for higher speed (and this is true under certain conditions). Not fully understanding this, the information has spread and gained momentum (mainly through the Internet). There are many more inexperienced people in the bearing industry than there are experienced people and this has allowed for rapid growth of this falsehood. We are not psychologists but we can think of 3 reasons immediately. Firstly, if you had just paid several hundred dollars for a set of bearings, you too would "believe" that they were better than what you had bought previously for around $30.00 to $40.00. Secondly, and somewhat similarly, if you really believe that something will make you faster, it probably will (it's all in the mind). Thirdly, how do you seriously compare the speed at which your new ABEC 9 bearings allow you to travel against the speed that your old ABEC 1 bearings allowed you to travel several months ago when they were also new? More likely you would be comparing against the speed at which the old ABEC 1 bearings allowed you to travel after they had worn considerably. Try this in reverse. Take out the old ABEC 9 bearings after several months and replace them with new ABEC 1 bearings and you will get a similar increase in speed. 14. Somebody recommended that I use Stainless Steel bearings. Is this a good idea ? Stainless Steel bearings are usually marginally softer than Chrome Steel bearings, but this should not matter unless you are an aggressive skater. 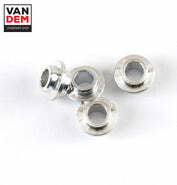 Stainless Steel bearings are advantageous if you are skating in wet conditions or close to the sea. They will rust (they are a high carbon content stainless steel), but they won't rust as quickly as Chrome Steel bearings. Again, you will not get any more life out of either high precision or low precision bearings. 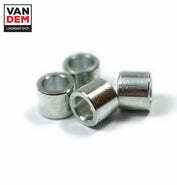 Aggressive skaters will find that they go through bearings more quickly, so the best advice is "Get the cheapest, as long as they are a decent bearing". 16. What is the difference between SUJ2 and SAE52100 bearing steel? To put it simply, very little difference. They are both standards which are applied to the chemical composition of Chrome Steel (also known as Chromium Steel and High Carbon Chrome Steel). SUJ2 is a Japanese standard, whilst SAE52100 is a U.S. standard. Both of the above standards are exactly the same for 4 of the 7 major elements used in Chrome Steel. Of the remaining 3 elements the specifications overlap, meaning that an SUJ2 bearing steel is also in many cases conforming to SAE52100 and vice versa. That is not to say that all batches of one will also conform to the other, but the differences are minimal anyway. Don't let anyone tell you that one is better than the other. 17. I have read something about a skates wheels spinning faster than an Indy Car, and they even "prove" it with a mathematical formula - Is this true? (The formula has been supplied to us). Yes. A skates wheels can easily get up to 2-3 times the RPM (revolutions per minute) of an Indy Car wheels. We will bet that what you read did not mention that this is still well under the capabilities of the 608 bearing (see point 6 above). Speed is not one of the problems faced by skate bearings - lack of lubrication, contamination, moisture and the unavoidable shock loads associated with skating are the biggest problems. Be very wary of anyone trying to tell you that Skating is a high speed application. In relation to the formula supplied, the basic formula is incorrect as it shows forward momentum being the product of the Radius of the Wheel and RPM. It only takes a little logic to realise that one turn of a wheel does not move the wheel forward by the distance of its radius but rather by its Circumference. However, using this incorrect formula in the above analogy will still get you the same result as to the relationship of the skate wheels speed to that of the Indy Car. Whilst the formula used is incorrect, the analogy is still correct - albeit irrelevant. 18. Are Nylon Retainers good for Skating Applications? The jury is still out on this one. The Nylon Retainer (Cage) is usually used in high speed bearing applications, so its use in skating applications would normally not be necessary. The Nylon Retainer may have some slight advantages over the Steel Retainer in that it could possibly help to dampen the shock loads associated with skating, and it may assist in holding the lubricant in. More testing would be required, however unless somebody comes up with an inexpensive version of this type of retainer, the steel retainer would probably still be the most economical type over a period of time. 20. What is a "Full Contact Metal Shield"? Not possible. "Full Contact" is a term usually applied to Rubber Seals not Shields. It means that the seal is in Contact with the Inner Ring of the bearing to give better protection. See our Closures Section. By its very nature, rubber can "Contact" something and still allow that something to move. If you were to have a "Full Contact Metal Shield", then depending on how tightly the shield contacted the inner ring you would either have a bearing that does not turn or one that makes a high pitched noise (metal on metal) and has excessive heat build up through friction. 21. What features of a bearing are covered by the ABEC standards? ABEC standards cover the tolerances of all of the measurable dimensions of the bearing (except the radii). Refer to the chart in our Technical Section for specific values. ABEC standards do not cover Running Noise, Starting Torque, Lubricants or Clearance.